The park offers numerous benches, tables and sculptures to enjoy—most of them donated (see a list of donated features). The pavilion is a 9,000+ sq. 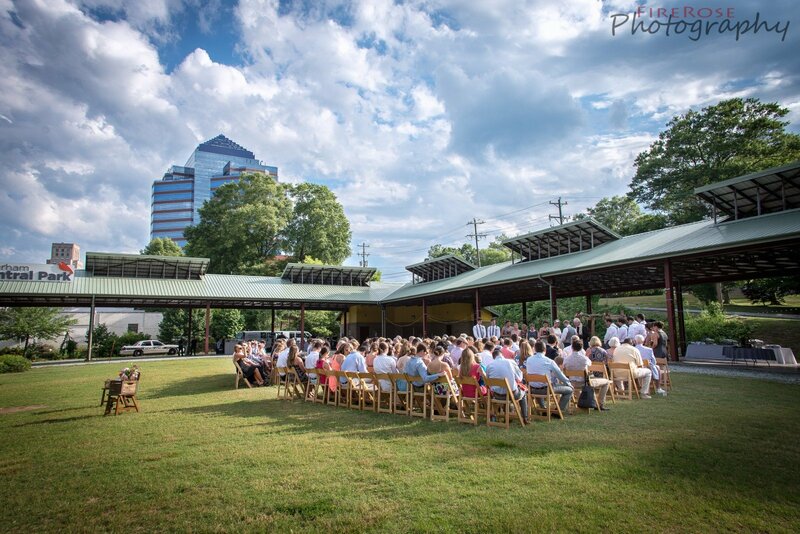 ft. covered event space in the heart of Durham Central Park. 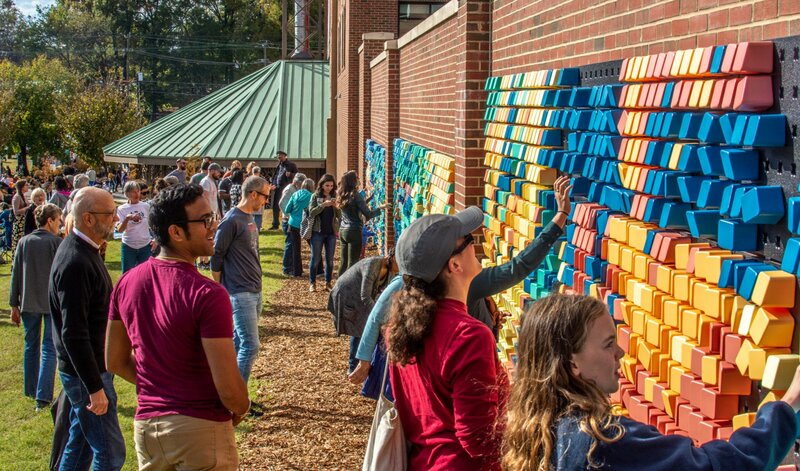 It is home to the world-class Durham Farmers Market and features smooth, concrete floors, men’s and women’s restrooms, available power and an ATM that can be stocked upon request. One of three gardens located in the wooded area behind the Pavilion. One of three gardens located in the wooded area behind the Pavilion, the Grace Garden offers a secluded and shady bit of Zen-like quiet beauty. 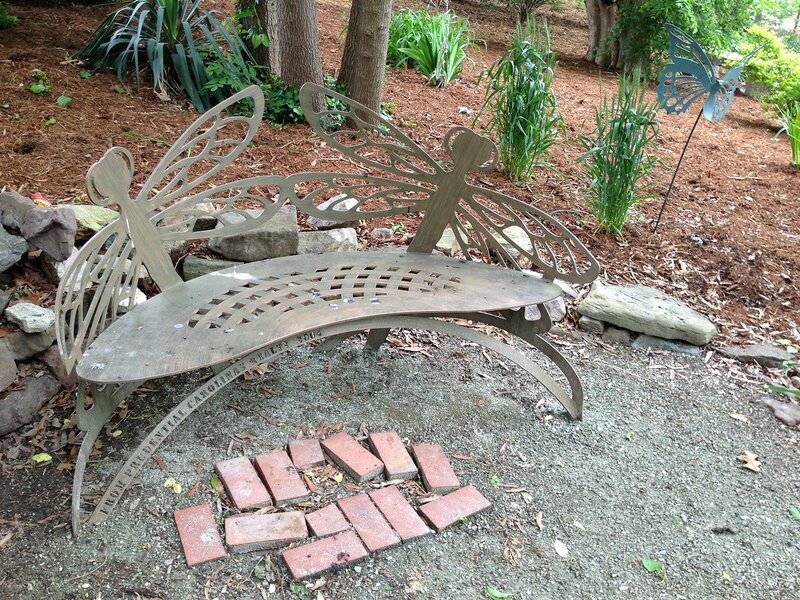 Featuring local art, bench seating and a menagerie of beautiful plant-life, it is dedicated to our friend, Grace Richardson who died in a tragic drunk-driving accident. 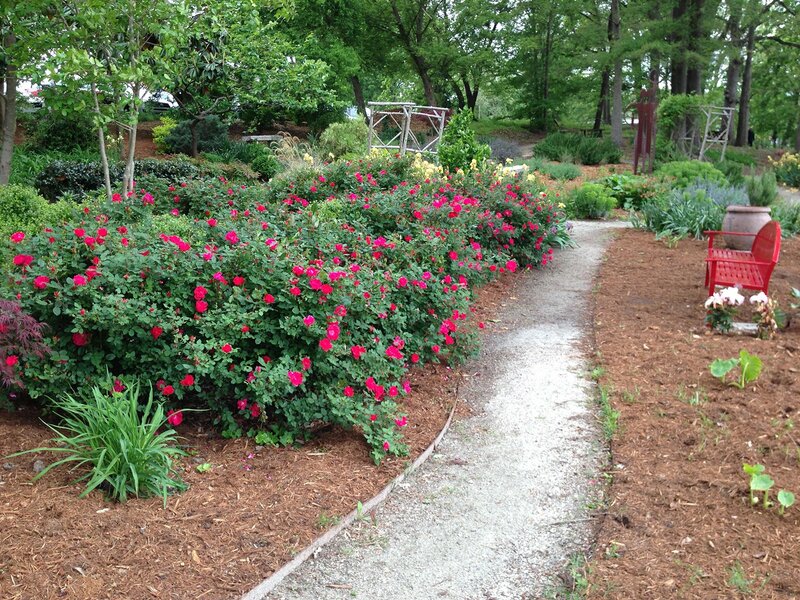 One of three gardens located in the wooded area behind the Pavilion, the Prudential Garden serves as a beautiful gateway to Durham Central Park’s Southwest corner. 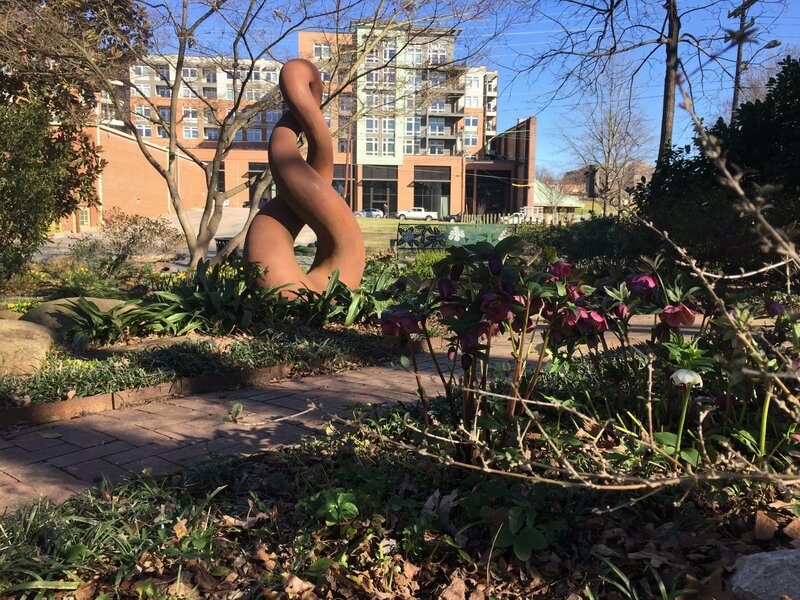 It features art by various local artists including some sculptural benches and an interesting mix of native and exotic flora. Located at the corner of Hunt Street and Foster Street, the Garden of Eatin’ is a free-pick, public edible garden by SEEDS and its collaborators. The focus is on organic edibles—fruit trees and shrubs, herbs, medicinals and veggies. On any given day during the warmer months, you can harvest some rosemary, basil or thyme. Other favorites include persimmon and hazelnut. Stop by and pick a little fresh herb or just explore the wonderful fragrances. 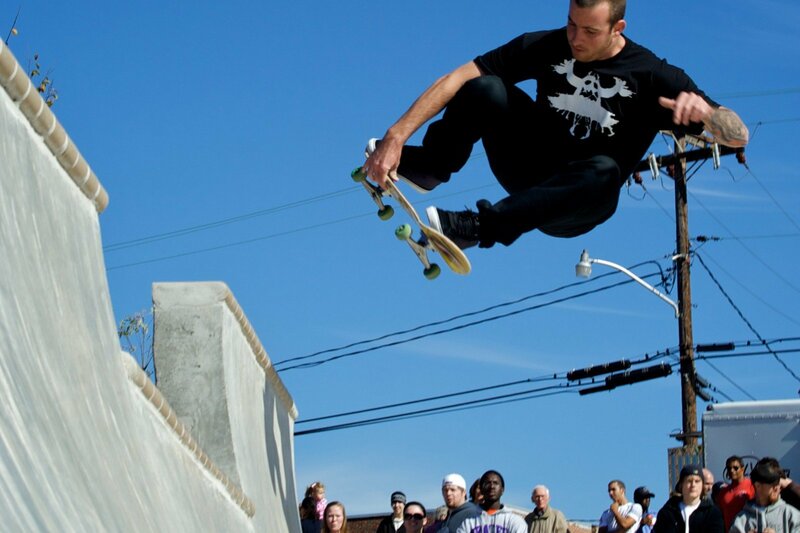 Designed by Artisan Skateparks, this 10,000 sq. ft. custom concrete skatepark features a floating quarter pipe, launch boxes, step-up bank, three stairwells with handrails, a street clam, and an eight-foot trog bowl. Helmets and pads required. The Great Lawn is a sprawling, open green space that climbs the hill between The Leaf and The Skate Park. It’s a great place to catch some rays or a even a film. Check out events to see what’s coming up. 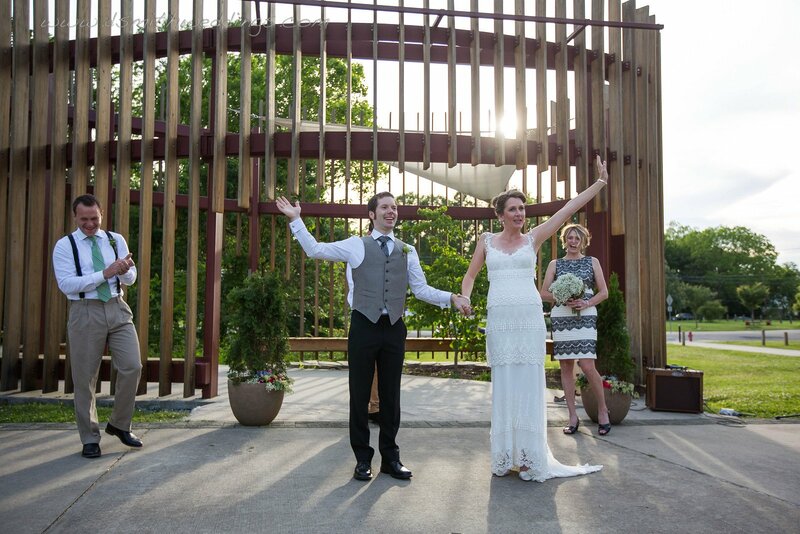 Located adjacent to the Pavilion, the Sister Cities Grove features trees dedicated to, what else but, Durham’s sister cities including a Linden Tree for Durham England, an English Oak for Arusha, Tanzania, a Red Maple for Kostroma, Russia and a Higan Cherry Tree for Toyama, Japan. Aside from shaded, it also offers a climbing sculpture for kids and a good of amount of unique seating including local art benches and other made from fallen trees. A favorite place to relax during events. The Leaf was built in 2011 by North Carolina State University College of Design Department of Architecture Design/Build Studio students and instructors led by Studio B Architecture/BuildSense members Randy Lanou, Erik Mehlman, and Scott Metheny as well as Ellen Cassilly of Ellen Cassilly Architect. For more information, visit parkdurham.org. Please observe the park’s rules to help keep the park safe and clean for everyone. See the complete list of Park Rules. 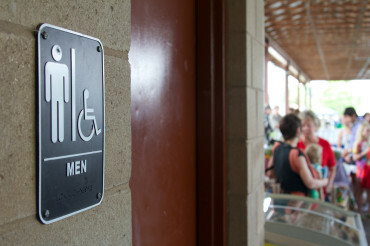 Mens’ and Womens’ restrooms are located in the back corner of the Pavilion and are only open during events.